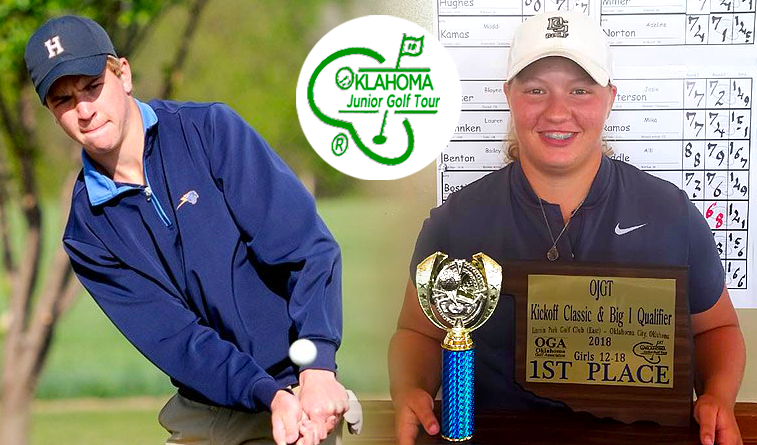 William McDonald of Oklahoma City shot consecutive rounds of 65 to edge Jordan Wilson (67-64) of Edmond by a single stroke in the Oklahoma Junior Golf Tour Kickoff Classic at Lincoln Park East Golf Course last weekend. Sydney Hermann of Ponca City closed with a sizzling 66 after an opening 73 to take the girls title by two shots over ShaeBug Scarberry of Purcell, who shot 73-68. It was a packed field featuring most of the top juniors in the state. Complete results of all age groups are below.